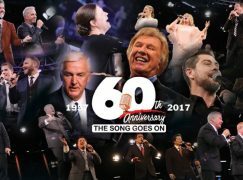 I get to see and enjoy so many “national” southern gospel groups and I simply love their music. But I also enjoy meeting groups who are not as widely traveled as those artists and who aren’t as widely known to the general sg fan population. This past weekend, I got to see two such groups that I had only been able to see once each in very limited appearances. Since I enjoyed them so much, I want to share them with MusicScribe readers! 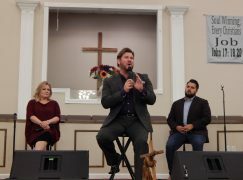 The Sharps hail from Fort Payne, Alabama, performed at the evening service of the Sardis Baptist Church outside of Bowdon, Georgia. 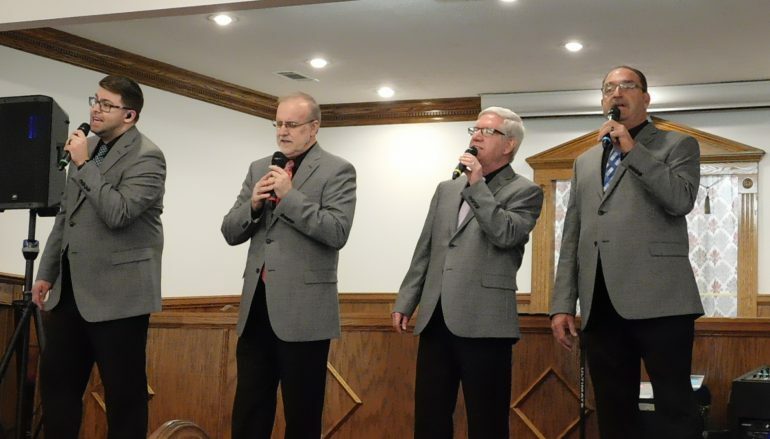 Their owner and last original member, tenor Andy Sharp, is serving in his 35th year and has been inducted into the Tri-State Gospel Music Association (TSGMA) Hall of Fame. 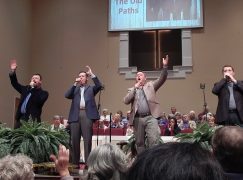 Other members are his son who sings baritone, Ben Sharp, and the two Mikes – Mike Leath at lead and Mike Smith (Smitty) at bass. 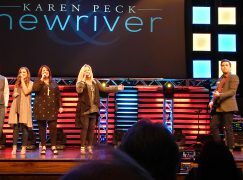 They’ve had several charting songs, one of which is shown on video below – Upon This Solid Rock. I think they are really solid at every position and presented a good variety of songs during this recent performance. Give them a listen. I think you’ll enjoy them! 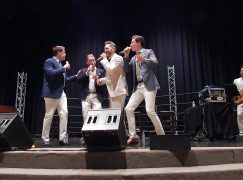 It was a bit bittersweet seeing Legacy Five in one of tenor Josh Feemster’s last weekends with the group. I wish Josh well in his new business position but I know Legacy Five will find another great man to fill that spot on the stage.